A few days ago I detailed how to create a nupkg containing a native library. Next we’ll sign and upload it to nuget.org. Nuget.org also has an excellect post on the topic. Make our own libraries more accessible to others. Previously we provided instructions on cloning the repo and bringing it into an existing project- using nuget would be easier. Simplify our codebase. Our main .sln has 55 projects; perhaps 10 of which are third party libs that we made minor changes to but otherwise rarely touch. We want all our packages to be owned by the Subor organization so everything won’t be tied to a single person. After creating an organization (profile ->Manage Organizations->Add new), you can click the pencil icon ( ) to access the organization’s settings page and configure various things. Assuming you have a PKCS #12 file (with a .pfx extension) for signing, you need to export a .cer to register with nuget.org. 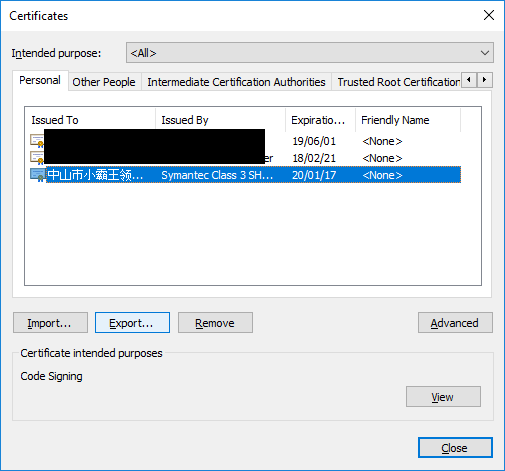 On Windows, double-clicking the pfx should launch the Certificate Import Wizard, or you can run certmgr.exe and click Import…. Then click through to create the .cer. Now, go to the organization’s settings page on nuget.org and pick Certificates->Register new. Select the .cer you just created. For Package Owner pick the organization. Uploaded packages will belong to the organization rather than your individual account. For Select Scopes I’ve got Push only new package versions because I’m planning to use this on our build machine and it really has no reason to create new packages. After signing the size of the nupkg file should increase slightly (in this case 10KB). If you get output that ends with Key does not exist., make sure the .pfx (the private key) follows -CertificatePath and not the .cer (public key). And there should be a bunch of similar output that ends with Successfully verified package 'Subor.NNanomsg.NETStandard.0.5.2'.. 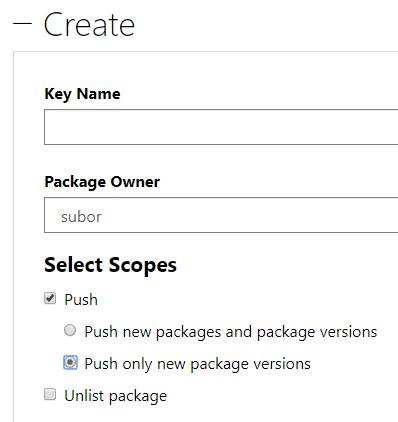 The first time I uploaded the package I used nuget.org’s web interface: profile ->Manage Packages->+Add new. The package is validated before becoming available via nuget.org. This seems to take around 5 minutes for a small package like this, although I’d imagine it might take longer for large packages or during peak usage. 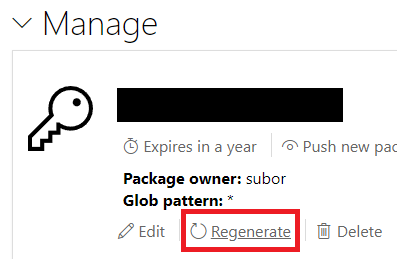 You can keep an eye on its status via the package’s page: https://www.nuget.org/packages/Subor.NNanomsg.NETStandard/0.5.2. Right-click a project ->Manage NuGet Packages…->Browse. Install it and build the project (don’t forget to set Platform target!). Browse to the output folder and nanomsg.dll should be there.